Wow, this is unexpected. 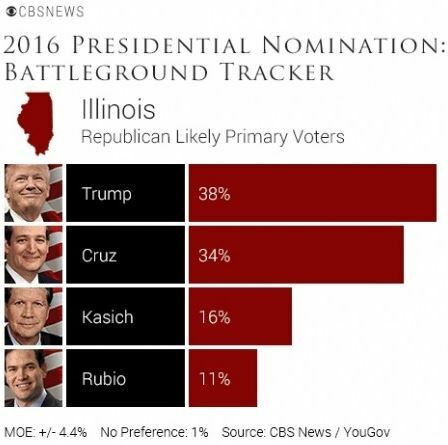 A new CBS News poll released Sunday has Ted Cruz trailing trailing Donald Trump by 4 points in Illinois. Donald Trump keeps his lead in winner-take-all Florida, at 44 percent over Ted Cruz’s 24 percent and Marco Rubio’s 21 percent. In Ohio, Governor John Kasich is tied with Trump 33 percent to 33 percent, in two of the big winner-take-all delegate prizes up on Tuesday. In Florida, home-state Sen. Marco Rubio has been trying to get traction against Trump, but still trails. Sen. Ted Cruz has overtaken Rubio in Florida. In Illinois Trump also leads, 38 percent to 34 percent over Cruz, who is in striking distance, with Kasich back at 16 percent. The findings across the three states may suggest Cruz is emerging more generally in the minds of many non-Trump voters as the alternative to the frontrunner. Cruz is in second place in Florida, while Rubio is in third place. I have to think that a poll like this two days before the Florida primary would cause Rubio to drop out and endorse Cruz. Rubio is just trailing by too much to catch Trump. Red State is reporting that Cruz plans to do FIVE rallies in Illinois on Monday, the final day of campaigning before a number of significant state-level elections on Tuesday. According Teddy Schleifer of CNN, Ted Cruz’s team has scheduled five separate rallies in Illinois tomorrow as the Senator looks to make one last push in the state. With his surprise second place showing in Michigan, the Cruz team must have seen something in their numbers to think Cruz could do well enough in IL to grab a chunk of delegates away from Donald Trump. This Tuesday, we’ll see elections from Florida (99), Illinois (69), Missouri (52), North Carolina (72), the Northern Mariana Islands (9) and Ohio (66). Ted Cruz is also the most qualified candidate running. He’s 5 for 9 arguing cases before the Supreme Court. Cruz knows how to convince liberal scholars to come over to his side. That’s what he enjoys – persuading people who disagree with him. He has done something to address so many of the things I’ve been writing about on this blog – voter fraud, IRS discriminating against conservatives, etc. I am a Cruz supporter because I like Cruz, not because I oppose Trump and Rubio. Which candidate is best at working with Democrats to get things done? Is Marco Rubio right about his attacks on Ted Cruz’s business tax plan? Do supporters of Donald Trump really support what Trump believes? My friend Doug wrote a post addressed to all the evangelical Christians and Tea Party conservatives who support Trump, to ask them if they really support the actual policies and record of the man. Do you support Planned Parenthood, and do you approve of your tax dollars going to fund the abortion giant? Do you identify with the Tea Party movement? Would you ever under any circumstance help the Democrats retake Congress from the Republicans? Do you like the idea of socialized, single-payer, government-run healthcare? Do you support amnesty for those who are residing in our country illegally? Do you like the ObamaCare mandate? Do you want to see another liberal judge placed on the Supreme Court? Do you support Israel in the Israel-Palestinian conflict? Do you support the unconstitutional abuse of eminent domain? Do you believe that Bush intentionally lied about Iraq? Do you approve of casinos, strip clubs, and extramarital affairs? Would you ever under any circumstance donate money to Nancy Pelosi or Harry Reid? Do you like the idea of more “forward motion on gay rights”? Do you support the legality of partial birth abortion? Do you consider yourself a conservative on the most important political matters? Do you think it’s OK to ban U.S. citizens from entering this country based on religion? Do you think that U.S. citizens should be required to register their religion with the government? Do you want a President who flip flops on important issues? But then, I am a Christian, an evangelical, and a consistent Constitutional conservative, and consequently, I do not support Donald Trump. The question is, Do you? Do you really support the things that Donald Trump supports? You can find the footnotes in the original post. I’ve had conversations with Trump supporters about some of these issues, and the response I get is that Trump is leading in the polls. I actually sent one Trump supporter who told me this to Real Clear Politics, which catalogs all the polls that are done nationally and at the state level. The polls clear show that Trump does not win against Clinton nationally, and he does even worse against Bernie Sanders. The response of the Trump supporter? All the polls are biased. So, the polls that show Trump in the lead in the Republican primary are not biased, but the polls showing Trump losing to Clinton and Sanders are biased. I’ve tried to speak to the Trump supporters about things like eminent domain, support for bank bailouts, single payer health care, touchback amnesty, Planned Parenthood support,support for Vladimir Putin, adultery and divorce, support for the gay rights agenda, four bankruptcies, etc. Their response has been do deny the evidence. Trump never did those things, all the news articles are lies, and all the videos of Trump saying those things are fake. Doug, Ben, and myself are all supporters of Ted Cruz. I would urge Trump voters to reconsider their vote. Please share this post, and share the Ben Shapiro video, as well. I think there are a lot of Cruz supporters who are worried about whether Cruz has the financial support to win this race. If we were voting with our hearts, we would pick Cruz because he is the most conservative. But we don’t want to support someone who will run out of money and fold halfway through the campaign. Well, I have some good news about that! Texas Sen. Ted Cruz’s presidential campaign raised $20 million during the final three months of 2015, according to the Cruz campaign. The end of the year fundraising total represents a marked increase compared to his third quarter fundraising sum of $12.2 million. Cruz campaign manager Jeff Roe wrote a memo to campaign staff that details how the campaign hauled in $45 million during the 2015 calendar year. More than 300,000 supporters donated to the Cruz campaign, and the average donation amounted to $67. Roe’s memo also notes that the campaign has coordinators in each of the 163 congressional districts in the 24 states with nominating contests scheduled before March 15th. The campaign also boasts its success in recruiting more than 175,000 volunteers, and a donor base residing in two-thirds of all zip codes in the United States. 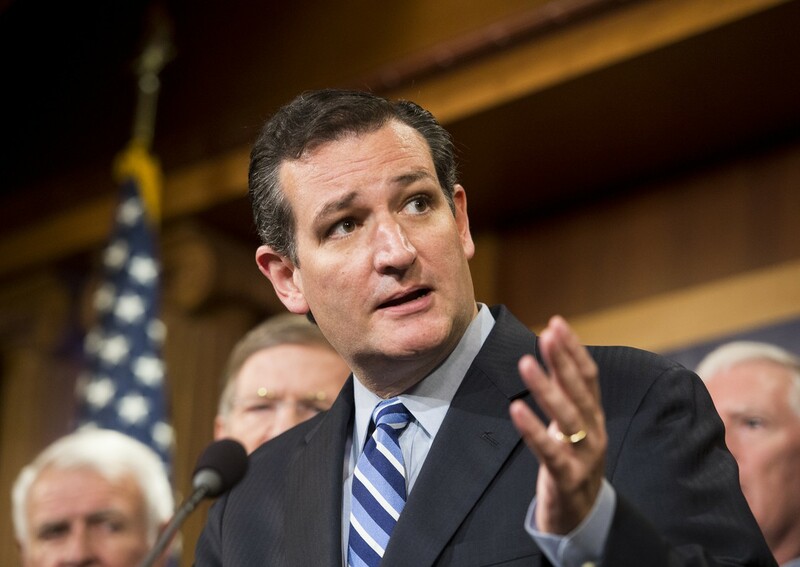 Cruz ranks first in the Washington Examiner‘s newest GOP presidential power rankings. Cruz’s rival Marco Rubio is getting a lot of big money from pro-gay-rights donors and pro-amnesty donors. He is the favored candidate of the Republican establishment. He is famous for trying to push through an amnesty deal. Cruz is the outsider, and he doesn’t have the support of billionaire establishment donors. Cruz fought to stop Obama’s executive amnesty, so the establishment Republicans hate him and they are giving him no support. That’s why this donation-related news is so encouraging. Cruz is keeping up with the billionaire-backed candidates like Rubio because he has the support of so many individual conservative donors. But there is even more good news if you look at the state of the PACs who are supporting Cruz. In the mid-year reports, Cruz’s super-PACs disclosed nearly $38 million [in] donations, which put him second only to former Florida Gov. Bush in outside support. But unlike Bush’s super-PAC Right to Rise — which has been spending its $103 million rapidly on TV advertising — Cruz’s super-PACs have been sitting on their cash. Bush isn’t getting any kind of bump in the polls for all this spending by his PACs. Meanwhile, Cruz is in first or second place in so many states even though Cruz PACs have not been spending much money at all! I think for people who would like to vote for Cruz but are worried whether he can go the distance, the answer right now is a resounding YES. He’s in a much better position financially than all of the other GOP candidates. Should we pick a candidate based on our emotional response to his confidence? 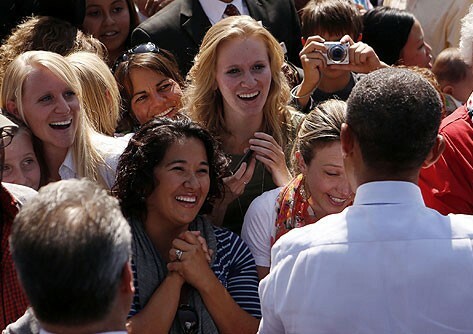 Barack Obama had a lot of confident words and personal charisma during his campaign speeches in 2008. Many young people want to believe that their positive emotional reaction to confident words will somehow make plans “work out”. But can you really compel the universe to give you goodies just by having positive feelings? Does your emotional response to handsome looks and confident words mean that somehow the universe will give you what you desire? I want to use this article from Investors Business Daily to illustrate the importance of not picking a President based on confident words and personal charisma. That $2,500 figure was Obama’s mantra on health care. You can watch the video if you don’t believe it. Let’s watch the video. I want everyone to see how confident a clown can sound when he lies about being able to solve problems that he knows nothing about. He had no record of achievement in this area. None, Zero, Zip. And the same goes for his claims about keeping your doctor, keeping your health care plan, and so on. But America voted to elect him. There were a lot of voters who did not want to think too hard about economics in 2008, and again in 2012. They did not want to have to put in any work to study the achievements of the candidate in the area of health care policy, to see if he had actually done anything to reduce health care premiums. They had a problem: health care costs are too high. A charismatic clown stepped forward and made their fears go away with confident talk. They made a decision to believe him. They wanted to believe that serious problems could be solved by the words of a charismatic clown, so that they would then be saved from having to evaluate the records of the candidates, to see which of them had put in place policies that had solved similar problems in their past. That’s too much work for the American voter. Better to just pick the one who seems to be able to solve the problem based on surface qualities, like confident words that produce emotional reactions. The universe will adjust because we have a positive attitude. This is an attitude that no practical engineer like me could take. It’s a recipe for disaster. Nothing important in life – from designing e-commerce web sites, to developing cures to sickness, to constructing jet fighters – is conducted in such a stupid, emotional way. Now, I’m pretty angry that two of my candidates, Rick Perry and Scott Walker, are out of the 2016 election. And why? Because an unqualified leftist clown is ruining the process with brash, insulting confident talk. Again, we are dealing with a clown who has no record of actual problem-solving in the areas where the American people need problems solved. Which of these two sounds like someone on an ego trip, someone content to let the Middle East go up in flames and, like Barack Obama, someone overconfident in his own abilities to persuade others? And which sounds like he would practice the sober, principled foreign policy of Ronald Reagan as president? Yet it is the latter, Scott Walker, who was just forced to drop out of the race, the reality TV star front-runner having sucked so much air out of the room that it was becoming impossible to survive. He laudably called it his patriotic duty to depart, thus consolidating the opposition to Trump. Walker is one of the most successful governors in the country, having brought unemployment down from over 8% to about 4.5%, and turning Big Labor’s targeting him for destruction into three successive electoral victories in a blue state. A week ago a governor with a longer record of accomplishment, in a state Americans are flocking to for its vibrant jobs-rich economy, was also forced to drop out. In doing so, Rick Perry of Texas made a statement affirming his rock-ribbed commitment to free-market principles, traditional values and a strong America on the world stage. Perry and Walker are both leaders of substance. Eight years of the inexperienced, self-obsessed Obama had many Republicans concerned about 2016 looking to the governors’ mansions for someone with a proven track record of actually solving crises and reversing misguided big-government policies. These two may have been the most accomplished figures in the nation in that regard. How is it that they are early dropouts? Political journalists are having a ball dissecting the ins and outs of fundraising and styles of campaign managing to explain Walker and Perry’s exit. But there is no ignoring the 800-pound loudmouth in the room. In Donald Trump, the left’s caricature of conservatism — the bombast, the misogyny, the hype-above-substance — is defeating the real thing. I do hiring interviews in my company. I always make sure to ask questions to test the claims on the candidate’s resume. It’s not hard to find out whether a person knows how to do what they claim to know how to do. Many of the people who show up for interviews try to finesse their way through engineering questions with confident talk, and emotional appeals. We don’t hire them. Why is it so hard for the American people to understand what is at stake here? Story from the Weekly Standard. Four members of Scott Walker’s Iowa campaign are now aligning with Marco Rubio. With the Wisconsin governor exiting the presidential race Monday, the Walker campaign’s network of activist supporters in the early primary states are free to endorse other candidates. In Iowa, three county chairs and a university student leader are now supporting Rubio, the Florida senator. Melody Slater of Lee County, Matt Giese of Dubuque County, and Alan Ostergren of Muscatine County, have all shifted their support for Rubio. “While I am saddened by the news of Governor Walker’s campaign ending, I am proud to join Senator Rubio’s team. His conservative, positive vision is exactly what this country needs,” said Slater in a statement to THE WEEKLY STANDARD. “Marco’s optimistic vision for the 21st century is exactly what our country needs. In the coming months, I look forward to helping Marco win the Iowa caucuses,” said Ostergren. In addition, Brittany Gaura, an Iowa State University student who co-chaired Iowa Students for Walker, is also endorsing Rubio. “As much as I support Governor Walker, I know it is a critical time in this nation’s history. I am supporting Marco for the positive vision and strong leadership he will bring to America’s future,” she said. Rubio has also picked up support from the chairman of Walker’s New Hampshire campaign as well as an early supporter of Walker’s in South Carolina. Well, many of you sent me messages on Facebook and Twitter about the sad news that Walker, my #2 candidate, had dropped out of the race. This is a huge loss for America, since Walker’s plan to reform public sector labor unions would have changed the direction of the country, given how labor unions donate so much money to Democrat candidates. So where do I stand now? My favorite candidate is Bobby Jindal, then Ted Cruz, then Marco Rubio. That’s strictly on conservative principles and conservative achievements. 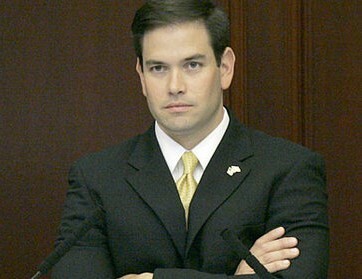 Rubio is the most electable, but I am angry with him for flirting with amnesty. However, he has repudiated his involvement with that movement. 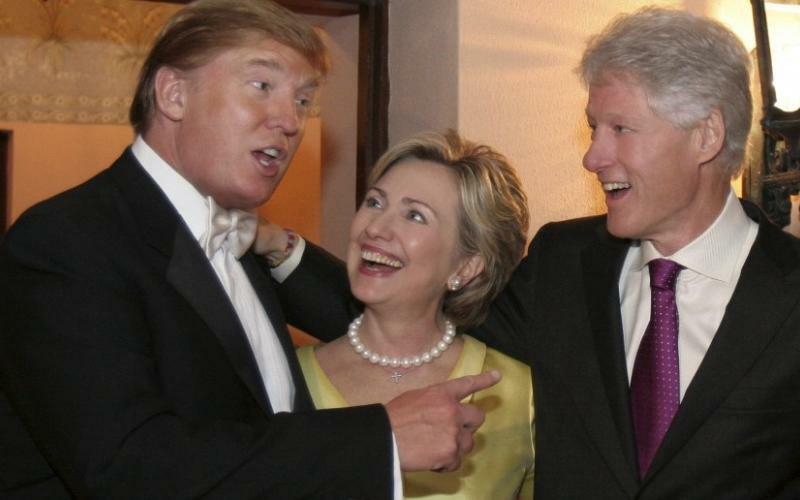 I would be happy with any of these three candidates. Donald Trump is not a Republican, he is too liberal on every single issue there is, regardless of his clown-talk. His unstable shrieking is just a baby squealing for attention, understanding nothing and with no awareness of facts. He is a nobody, and should not even be running for President.